Seeking to turn the tide of numerous court loses, the Texas Comptroller has adopted a new strategy to use against Texas businesses. Specifically, the Comptroller directs our legislature to amend Texas sales tax statutes and label the amendments as “clarifications” of existing law so that he may retroactively tax Texas businesses. The Comptroller seeks to do this through amendments offered this legislative session. The amendments, if passed, would overturn at least one pro-business Texas Supreme Court opinion, and bolster the Comptroller’s litigating positions in several pending cases. It seems as though the Comptroller used the list of litigation pending against him to craft his proposed legislation. On February 19, 2019, Legislators in the Texas House and Senate filed identical bills mandating sales tax collection by marketplace providers, such as Amazon, Etsy, and EBay. If enacted, the bills would require “marketplace providers” to report as taxable sales, and collect and remit Texas sales tax on, sales of items by third parties through their marketplaces. “Marketplace providers” means “a person who owns or operates a marketplace and directly or indirectly processes sales or payments for marketplace sellers.” The proposed legislation is intended to shift the compliance responsibilities from smaller retailers who sell taxable items, to the marketplace platforms through which the retailers sell their products. The marketplace providers will likely have the algorithms, software, and know-how, to comply with Texas’s confusing web of sales and use tax laws. 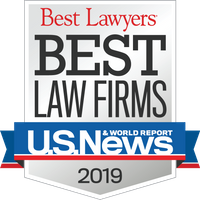 Martens, Todd, Leonard & Ahlrich has been named a Tier 1 law firm in Austin for Tax Law by U.S. News – Best Lawyers® “Best Law Firms” in 2019. We’re looking forward to another great year! On February 15, 2019, Gulf Copper & Manufacturing Corporation filed its reply brief with the Texas Supreme Court in its franchise tax dispute with the Texas Comptroller. Gulf Copper’s brief explains to the Supreme Court why both the trial court and appeals court correctly rejected the Comptroller’s arguments denying Gulf Copper a reduction in the margin tax base for (1) payments to subcontractors who rebuilt the drilling rigs that were destined for offshore drilling projects and (2) the full scope of costs generated by Gulf Copper’s manufacturing process. If the Texas Supreme Court grants review, taxpayers in a wide range of industries will benefit from guidance on two key components of the franchise tax calculation: the subcontractor revenue exclusion and the cost of goods sold subtraction. Gulf Copper rebuilds offshore drilling rigs. Its employees and subcontractors manufacture new rig components and install them on rigs. The manufacturing process continues into installation. The Gulf Copper case addresses two critical components of the Texas franchise tax base of “margin”: (1) the availability of the revenue exclusion for payments to subcontractors who assist in rebuilding offshore drilling rigs and (2) the scope of cost of goods sold for businesses who manufacture and install component parts on offshore drilling rigs. The Gulf Copper case is presently pending before the Texas Supreme Court. We are pleased to welcome Chase Howell to our firm. Mr. Howell assists members of the firm with tax litigation in a variety of forums. Mr. Howell also joins other members of the firm in writing about Texas tax topics including the Texas sales tax and Texas franchise tax. On August 21, 2018, Gulf Copper filed its Response to the Comptroller's Petition for Review. The Comptroller had previously filed a Petition for Review asking the Texas Supreme Court to reverse the decisions by the trial court and court of appeals. Gulf Copper won in both of those courts. The Texas Comptroller issued guidance in the wake of the Supreme Court’s landmark decision in South Dakota v. Wayfair, broadly advising businesses of how his agency will implement the decision. The decision allows a state to force out-of-state sellers (called “remote sellers”) to collect and pay over sales taxes of instate residents who purchase goods and services from the out-of-state sellers. At the outset, the Comptroller recognizes that the physical presence nexus standard remains Texas’ law of the land for the time being. The Comptroller’s office expects to amend Texas’ rules to establish new rules for remote sellers, imposing tax collection obligations when the remote seller exceeds minimum thresholds for revenues and/or number of sales in the state. The Comptroller’s office stated it anticipates that the new rules will be effective in early 2019. In Nabors Drilling Technologies USA, Inc. v. Hegar, the Court of Appeals fully denied Nabors’ sales and use tax refund arising from exemptions claimed for drilling-equipment and temporary storage. Houston-based Nabors Drilling claimed it was entitled to a refund of use taxes paid on its purchases of component parts that it stored temporarily in Texas prior to shipping out-of-state, and alleged it was entitled to the drilling-equipment exemption for sales taxes paid on the component parts that were incorporated into drilling equipment to be used exclusively outside of Texas. On January 10, 2018, a Travis County District Court judge entered a final judgment in Pointsmith Point-of-Purchase Management Services, LP v. Hegar, ruling that the taxpayer’s fulfillment services (handling, packing, and freight) were not taxable under the sales price rule as part of the taxpayer’s sales of custom-printed point-of-purchase advertising materials. On December 19th, a state district court in Austin, Texas issued two significant rulings pertaining to Texas sales taxes. The first held that the sales price of taxable items sold did not include the seller’s charges for the storage and later handling/packaging and transportation of those items (“fulfillment services”). The second held that Texas courts have jurisdiction over issues raised in a protest suit that were not assessed in the underlying sales tax audit. The work to rebuild Texas in the aftermath of Hurricane Harvey has just begun, and the project will require a tremendous effort by both Texas and out-of-state contractors. The Texas sales and use tax rules applicable to contractors performing work in declared disaster areas are complex and pose potential audit issues for contractors. The Texas Tax Lawyer recently published an article written by Jimmy Martens, Danielle Ahlrich, and Katie Wolters in its Fall 2017 Edition that provides contractors and tax professionals with basic answers to construction-related questions specific to declared disaster areas. You can view the full pdf of the Texas Tax Lawyer's Fall 2017 Edition here. A colocation center’s separately-stated charges for access to underground fiber optic cable to connect customers’ equipment to Internet service providers, or to establish connections between customers within a colocation center, constitute charges for the rental of real property and are not subject to Texas sales and use tax. In Private Letter Ruling No. 201709001L (September 7, 2017), the taxpayer operated a carrier-neutral colocation center. Customers leased space in the colocation center for their computer equipment, and contracted with the taxpayer for the provision of cross-connects. Cross-connects are established by connecting the customer’s computer equipment to underground fiber optic cables, which allows the customers to connect to an Internet service provider. Charges for cross-connects are separately stated on the taxpayer’s invoices. Purchases of gas and electricity used in privately run detention facilities do not qualify for an exemption for utilities purchased for residential use. In GEO Group, Inc. v. Hegar, the Comptroller issued a sales and use tax assessment for purchases of utilities used in facilities that house government detainees. GEO Group needed to prove two elements to qualify for a sales tax exemption for gas and electricity sold for residential use: (1) the gas or electricity was used in a structure occupied as a home or residence, and (2) the gas or electricity was used by the owner of the occupied structure. Taxpayers may amend state court pleadings in tax protest suits as facts develop without losing jurisdiction, so long as new grounds are not raised. In Texas, tax protest suits differ from many other types of lawsuits because taxpayers must comply with strict jurisdictional requirements unique to Chapter 112 of the Texas Tax Code. Taxpayers must first pay the amount assessed and submit with the payment a written protest letter stating fully and in detail each reason for recovering the payment. See Tex. Tax Code § 112.052. Then, the taxpayer must file suit within 90 days of the date the protest payment is made. Id. In protest suits, the issues determined by the court are limited to those arising from the reasons expressed in the written protest as originally filed. See Tex. Tax Code § 112.053(b). If the taxpayer amends its pleadings to include grounds for recovery not expressed in the written protest, then the amendment could create a variance issue where the court no longer has subject-matter jurisdiction to hear the case. Following a pro-taxpayer Texas Supreme Court ruling in Hallmark Mktg. Co. v. Hegar, the Comptroller has issued a memorandum amending his policy regarding the treatment of net losses for purposes of franchise tax apportionment. Before, the Comptroller required businesses to include a net gain or net loss from the sale of investments or capital assets in the apportionment calculation. Now, after the Texas Supreme Court’s rejection of that position, only net gains from the sale of an investment or capital asset should be included in the calculation. The Texas Comptroller will delay implementation of the tax amnesty program established during the 2017 legislative session. The 2017 Legislature established a tax amnesty program to encourage voluntary reporting by delinquent taxpayers. Once implemented, businesses who do not hold a permit, as well as permitted taxpayers who have underreported or owe additional taxes or fees, will be allowed to participate in the program. Taxpayers currently under audit will not be eligible to participate in the program. Program incentives will include the waiver of penalty, interest, or both, although the details of the program are currently limited. In the meantime, taxpayers who seek to comply with Texas tax laws remain eligible to participate in the Comptroller’s Voluntary Disclosure Agreement program. Details on this program are available on the Comptroller’s website. The Texas Comptroller is offering an automatic extension of time to file 2017 Texas franchise tax reports for businesses located in federally-declared disaster areas in Texas. 2017 Texas franchise tax reports with valid extensions to November 15, 2017 will be granted an automatic extension to January 5, 2018. Businesses located in counties federally declared a disaster area do not need to request an extension for their franchise tax reports. For example, a business located in Aransas County who had received a valid extension to November 15, 2017 will be granted an automatic extension to file until January 5, 2018. Please join Katie Wolters on Thursday, September 7th for a Texas sales tax course for artists, musicians, and artist entrepreneurs. This presentation is hosted by the Texas Accountants & Lawyers for the Arts as part of the Business Essentials for the Artist Entrepreneur seminar series. Katie will discuss a wide range of sales and use tax issues applicable to artists, including Internet and multi-state sales issues, exemptions for audio and video masters, painting and fine art, photography, graphic design, printing, and advertising. You can view a copy of Katie’s presentation below. For more details and to register for the event, please visit our seminars page. 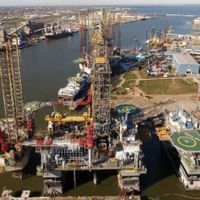 The Texas Comptroller intends to restrict a taxpayer’s ability to accept a resale certificate in good faith, thereby limiting the safe harbor protections. See proposed amendments to 34 Tex. Admin. Code § 3.285. Currently, a sale is exempt if a seller accepts a resale certificate in good faith and lacks actual knowledge that the sale is not a sale for resale. It is the seller’s responsibility to take notice of the type of business generally engaged in by the purchaser as shown on the resale certificate. Presently, a seller can accept a certificate in good faith if there is nothing on the face of the certificate that would lead the seller to suspect that the resale claim is improper. In a recent case, Cantu Enterprises, LLC v. Hegar, the Third Court of Appeals applied the “normal course of business” standard to invalidate the taxpayer’s claim of a sale for resale exemption. Texas Tax Code § 151.006(a)(2) states that an exempt “sale for resale” includes a sale of tangible personal property within the U.S. or Mexico to a purchaser for the sole purpose of the purchaser leasing or renting the property in the normal course of business to another person. Thus, if the purpose of the underlying sale is not to facilitate leases or rentals that are part of the normal business operations of the purchaser, but instead, the purpose is merely to create a tax benefit, the underlying sale is illegitimate and not exempt. The Texas Court of Appeals resolved two important issues under the Texas franchise tax in Hegar v. Gulf Copper & Manufacturing Corporation, No. 03-16-00250-CV (Tex. App.—Austin August 11, 2017, no pet. h.). First, the Court ruled that the revenue exclusion for payments to subcontractors in the real estate industry is not confined to the narrow circumstances where the parties share fees on a percentage basis. In doing so, the Court held that the repair of an offshore rig to be used to drill a particular well was a qualifying activity. Second, the Court explained the proper calculation for the cost of goods sold deduction after rejecting both methods offered by the parties. The Texas Comptroller treats cloud-based text and messaging services as taxable data processing, subjecting 80% of the charge to the Texas sales tax. A California-based company requested Comptroller guidance and explained that it operates a subscription service for businesses that allows a business’s customers to text questions, orders, and other messages to the subscriber business from any mobile device. The company then processes the message content into a useable format that can be displayed on the subscriber business’s dashboard and stores the message content for later retrieval. The company also analyzes the message content and provides the analysis in regular reports to the subscriber business—for example, reports can include the number of requests received per day, their categories, and response times. Instead of downloading or installing the California company’s software, subscriber businesses access and use it over the internet. Temporary employment agencies can no longer sell or rent supplies or equipment to clients and meet the exemption under the Texas Tax Code. The Texas Tax Code exempts charges for temporary help services from the sales tax when certain requirements are met. One requirement is that the client of the agency provide the equipment and supplies of the assigned worker. In the past, agencies avoided this requirement by charging their clients for the supplies and equipment that the workers would bring with them to the client’s locations. The Comptroller perceived this tactic as abusive, so he sought and received a legislative fix. Now, agencies can no longer sell or rent supplies or equipment to clients and meet the exemption under the Texas Tax Code. This anti-abuse rule extends to affiliates of the temporary employment service. The Comptroller made substantial revisions to the rules that govern administrative hearings. The new rules may be found here. The new rules become effective on July 13, 2017. Have you ever wondered how the Comptroller can hold an officer or director of a business personally liable for a tax assessment against a business? Unfortunately, this situation is common and our firm has handled a variety of cases involving personal liability issues. An article written by Jimmy Martens and Katie Wolters recently published in the Spring 2017 edition of the Texas Tax Lawyer explains how the Comptroller has authority to pursue an officer or director individually. The article also provides an overview of what defenses are available to an individual who seeks to challenge a personal liability assessment. You can view the Spring 2017 edition of the Texas Tax Lawyer here. Sales Tax Case to Watch: MMR Research Associates, Inc.
Don’t forget to visit the seminars page of our website to stay up to date with our firm’s upcoming speaking engagements. Martens, Todd, Leonard & Ahlrich wishes Amanda Taylor well with growing her general civil appellate practice with Beck Redden, LLP. Ms. Taylor is a top-notch, board-certified civil appellate attorney, and we look forward to working with her on pending and future tax appeals. A recent memo issued by the Comptroller’s Tax Policy Division provides guidance on the Texas franchise tax treatment of various types of vendor funded incentives. The issue is whether the incentives reduce COGS, are included in revenue, or are ignored altogether. Vendors provide incentives as allowances, credits, and rebates to retailers through a variety of programs to support merchandise purchased for retail. Vendor Funded Incentives (VFI) refers to this collection of programs and includes incentives like volume-based purchase adjustments, sales-based incentives, produce placement incentives, new store allowances, and depletion allowances. Some retailers argue that VFI should not be treated as a reduction in the COGS deduction for franchise tax purposes, because VFI relate to the sale of goods rather than the purchase of goods for resale. An attorney was recently held liable for the tax debts of his defunct PC, in which he served as the sole officer and director. In Jeff Kaiser, PC v. State, Kaiser operated his law practice as a professional corporation (“PC”) until 2003, when he forfeited its business privileges by failing to file Texas franchise tax reports. He was the sole officer and director of the PC. After 2003, he filed for Chapter 7 bankruptcy and continued to practice law as a sole proprietorship. In 2008, during his bankruptcy proceedings, Kaiser filed franchise tax reports for the defunct PC for report years 2004-2008 reporting income from his solo law practice after the PC’s charter was forfeited. In 2013, the state filed suit to collect the franchise tax owed from 2004-2008. Shortly after, the state filed a lien solely for the 2004 report period. The Comptroller recently updated its Local Sales & Use Tax Collection- A Guide for Sellers publication. This publication provides a helpful overview of local sales and use tax guidelines, including a discussion of when and which local taxes are due. The updated publication is currently available on the Comptroller’s website. President Obama recently signed the Trade Facilitation and Trade Enforcement Act (“TFTEA”) into law, which makes permanent the provisions of 1998’s Internet Tax Freedom Act (“ITFA”). The TFTEA permanently bans state and local jurisdictions from imposing taxes on Internet access, among other prohibitions. Under the TFTEA, Texas’ right to tax Internet access ends on June 30, 2020 due to the statute’s phasing out of a “grandfather” clause that allowed certain states (like Texas) to continue taxing Internet access under ITFA. The Comptroller’s office estimates that this change will result in a $358 million revenue loss for the state. Such a hit could prompt the Comptroller to become more aggressive with its taxability policies for and audits of other services and industries. In Southwest Royalties, Inc. v. Hegar, the Texas Supreme Court addressed whether downhole oil & gas equipment – such as tubing, casing, and pumps – qualified for the manufacturing exemption from the Texas sales and use tax. The Court ultimately concluded that Southwest Royalties failed to prove its entitlement to the exemption by clear and convincing evidence. Martens, Todd, Leonard, Taylor & Ahlrich is the proud recipient of the Travis County Women Lawyers' Association’s 2016 Outstanding Law Firm Award. 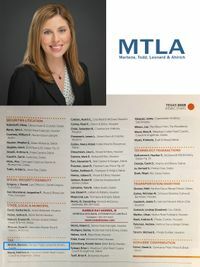 MTLTA received the award at TCWLA’s annual luncheon in recognition of its commitment to work-life balance and the advancement of women in the legal profession. Two recent opinions clarify the tax treatment of temporary employment services under both the sales and use tax and Texas franchise tax laws. Failure to file Texas franchise tax reports or pay franchise taxes when due may result in officers, directors, and managing members becoming personally liable for debts of the taxable entity. These failures lead to forfeiture of corporate privileges. See Tex. Tax Code § 171.251. The forfeiture of corporate privileges results in personal liability for debts created or incurred by the corporation during the period of forfeiture. The Court of Appeals in Houston recently held that the sole manager of a limited liability company could not be held personally liable for the company’s debt that was created or incurred before the limited liability company failed to pay its Texas franchise taxes. The rate for interest earned on a refund of overpaid taxes has increased from 0.469% in 2015 to 0.634% in 2016. The interest rate due on past-due taxes was similarly increased from 4.25% in 2015 to 4.50% for 2016. On April 15, 2016, the Texas Supreme Court held that only net gains should be included in the apportionment factor of the Texas franchise tax. This reversed the opinion issued by the Thirteenth Court of Appeals to rule in favor of the taxpayer. Recently, a Texas district court awarded full relief to Gulf Copper, an offshore rig repair company, upholding its position on both the Revenue Exclusion for Real Property Subcontractors and the Cost of Goods Sold (“COGS”) formula. See Gulf Copper & Manufacturing Corp. v. Hegar, No. D-1-GN-14-004620, 53rd Judicial District, Travis County, Texas (Judgment Feb. 22, 2016). The Comptroller assessed nearly four-times the amount of franchise tax that Gulf Copper had originally paid based on arguments that (1) a fee-sharing contract was required to exclude subcontractor payments, and (2) the COGS calculation is more limited than the statute plainly provides. The district court rejected Comptroller’s arguments and his tax assessment in favor of Gulf Copper. By its ruling, the court allowed Gulf Copper (among other things) to include in its COGS subtraction the amount of costs incurred to remove defective portions of customers’ offshore oil rigs, and the costs to install new components. Lower franchise tax rates went into effect on January 1, 2016. H.B. No. 32 lowered the franchise tax rate for report years beginning in 2016 from 1% to 0.75% of taxable margin for most taxpayers. For retailers and wholesalers, the tax rate is decreased from 0.5% to 0.375%. H.B. No. 32 also favors businesses electing the E-Z computation and rate provisions. It raises the total revenue qualification threshold from $10 million to $20 million and lowers the E-Z tax rate from 0.575% to 0.331%. The Legislature’s stated intent is “to promote economic growth by repealing the franchise tax.” 84th Leg., R.S., H.B. 32 § 1(b).